This pasta dish is one of my favorites. I easily make it twice a month. It's definitely a “Go-To Meal” for me, but I haven't stopped and written up the recipe until now. If you need a simple, seriously healthy meal to break up your holiday feasting, this is it! Sardines are considered a superfood, but I (and probably you, too) wouldn't be eating them if they weren't so tasty. 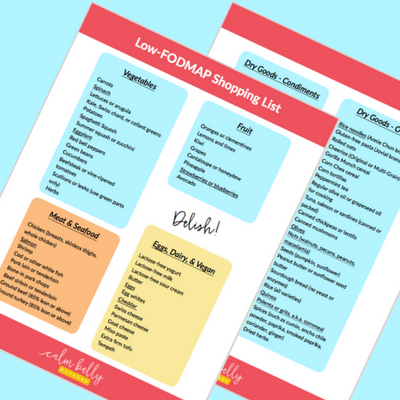 Sometimes eating clean or dealing with dietary restrictions means losing out on those special flavor boosters that take a recipe from “really good” to “crazy delicious.” Not the case here! Lastly, I'm dedicating this recipe to one of my favorite people on the internet as a little holiday gift. She's helped me make this website and all the content that goes with it something I'm truly proud of. I know she appreciates the magical deliciousness of sardines, so this is for you, Regina! So, have I talked you into whipping up some sardine spaghetti, or are you already a fan of these tasty little fish? If you have a great recipe with sardines, please share in the comments! If gluten-free pasta hasn't won your heart (my favorite brands are Jovial and Trader Joe's), this dish is just as good with quinoa. The sauce (you can always double the recipe to have leftovers) is also great over roasted fish, with eggs and toasted bread for breakfast, or added to a rice bowl. I use Ian's panko-style GF breadcrumbs because they stay crispier than the traditional kind. My favorite brand for sardines is Crown Prince (I like the water-packed variety), which I buy at Whole Foods, because the bones and tails are already removed. You can also substitute tuna (the Italian-style packed in olive oil works especially well). If you're low-FODMAP, stick to 1/8 of an avocado per serving. 1. Heat 2 tsp of the oil in a large skillet on medium. Add breadcrumbs and stir to coat with oil. Cook, stirring occasionally until lightly toasted, about 3 minutes. Season with salt and pepper to taste. Transfer to a small bowl and set aside. 2. In the same skillet, heat 1 tsp of the oil on medium heat. Add spinach and season with black pepper to taste. Cook, stirring frequently until wilted, about 2 minutes. Transfer to another bowl and set aside. 3. Add remaining 1 tbsp oil to the same skillet and heat on medium. Add scallions and chile flakes and cook until scallion is tender, about 1 minute. Add tomatoes with their juice. Raise heat to medium high and bring to a simmer. Cook, stirring occasionally, until sauce thickens slightly, 8 to 10 minutes. Stir in capers and remove from heat. 4. Meanwhile, bring a large pot of water to a boil on high heat. Season with salt and add spaghetti. Cook until al dente according to package directions and drain. Return pasta to the pot you just cooked it in. Add sardines, spinach and tomato sauce (for low-FODMAP, reserve about ¼ cup of the sauce for another use). Place pot over low heat and stir gently to combine. Cook just until heated through, 1 to 2 minutes. Top each serving with breadcrumbs and avocado and serve with lemon wedges. If giving up traditional wheat pasta still bums you out, this recipe will having you loving life again. Plus, it's fast, addictive and makes for a great leftover lunch. This is all because of the star ingredient, Asian rice noodles. They're gluten-free of course, they cook in 3 minutes, and they don't take on a weird, gummy texture the next day-- which means you can easily reheat or eat 'em cold straight from the fridge. Asian rice noodles are versatile (just try them with extra-virgin olive oil, parmesan and lemon zest), but I absolutely love them in this simple stir fry. How to make this easy rice noodle stir fry! Here's how it works: You make a quick, tasty sauce and sauté (or steam, or microwave) some veggies. Meanwhile you boil a big pot of water and cook the noodles. Then you get your protein ready. In this case, I made sautéed shrimp, but you could use baked salmon or chicken, smoked fish, stir fried pork or tempeh, ground turkey or chicken--pretty much anything. Finally you add it all back to the pot you cooked the noodles in and toss it up. Done. For this recipe, I used brown rice vermicelli from Annie Chun. You can use any brand. If you have access to an Asian market, you can get them fairly cheaply, but they might only have the white rice variety, not brown. I like using brown rice noodles because they have 4 grams of fiber per serving (read more about how I like to build my meals around fiber-rich foods). But go with what works for you! I find the Annie Chun brand at large supermarkets, Whole Foods and Vitacost.com. Asian rice noodles can't flat-out replace Italian pasta (my favorite gluten-free brand of Italian pasta is Jovial, by the way), but they definitely make some tasty meals. I love making pad thai with the thicker type of rice noodles. 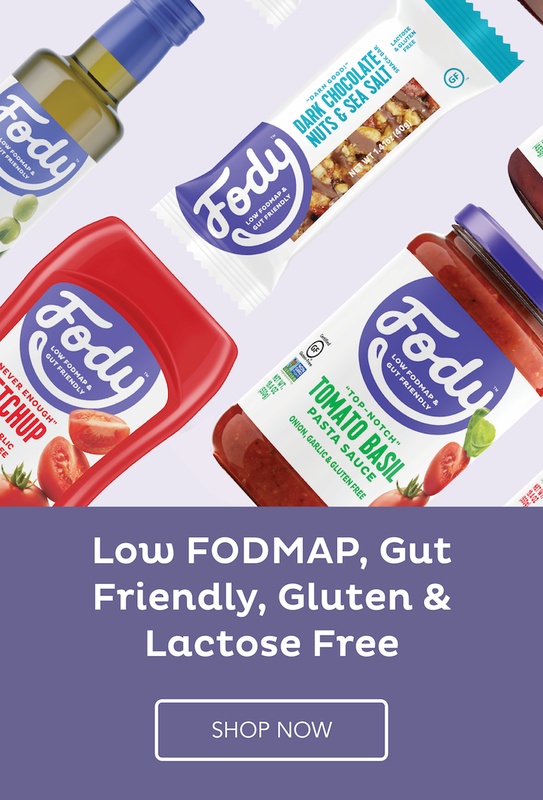 Have you ever had a low-FODMAP version? Let me know if you'd like a pad thai recipe, and I can make that happen! Have you cooked with Asian rice noodles before? What do you like to make? Share in the comments or stop by my Facebook page and post your recipes! 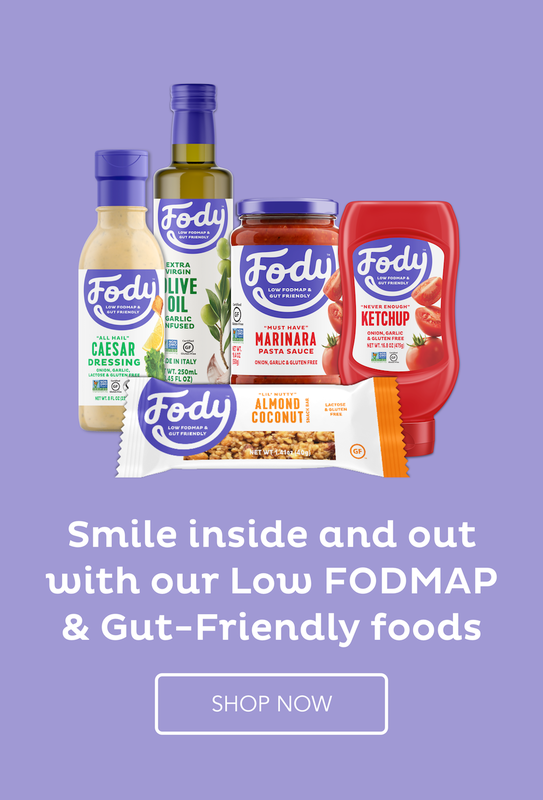 If you liked this post, enter your info below to get a free 1-week menu of Low-FODMAP, gluten-free suppers delivered straight to your inbox! You can use any veggies you want (or any protein--precooked chicken, pork or tempeh makes the cooking even faster). Some good options are zucchini, tomatoes, kale, broccoli, water chestnuts, bokchoy and eggplant. I also like sprinkling sesame seeds on as a garnish, but I forgot to do it for the photo shoot! A little hot sauce is nice too, if you like some heat. 1. In a medium bowl, whisk together the soy sauce, brown sugar or maple syrup, lime juice, rice vinegar and sesame oil. Set aside. Heat the vegetable oil in a large skillet on medium-high heat. Add bell peppers and cook, stirring frequently for about 4 minutes. Add carrots and continue cooking until vegetables are crisp-tender, about 4 minutes more (add a few tablespoons of water to the skillet if vegetables start to stick). Add ginger and about three-quarters of the scallions and cook for 1 minute, stirring frequently. Transfer to a medium bowl. 2. Return skillet to the stove top, mist with cooking spray (or add more vegetable oil) and heat on medium. Add spinach and cook, stirring frequntly, until wilted, 2 to 3 minutes. Add to bowl with carrot mixture. 3. Return the skillet to the stove top one more time and mist with cooking spray (or add more vegetable oil). Heat on medium-high. Add shrimp, 1/4 tsp salt and black pepper to taste. Cook, turning occasionally, until shrimp are firm to the touch and opaque in the thickest part, 4 to 6 minutes. 4. Meanwhile, bring a large pot of water to a boil. Add rice noodles and cook, stirring frequently, until al dente, about 3 minutes. Drain in a fine mesh strainer and rinse with cold water. Return noodles to the pot you cooked them in. Give the soy sauce mixture a quick whisk and add to the noodles. Heat on medium high and bring to a simmer. Reduce heat to medium and add the vegetable mixture. Gently toss until combined and heated through. Stir in the shrimp. Taste and season with additional salt and pepper if needed. Serve right away and garnish with the remaining scallions.